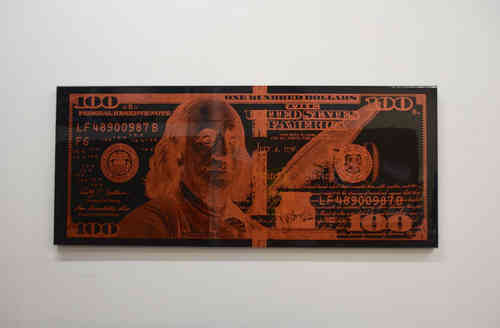 Mister E (b. 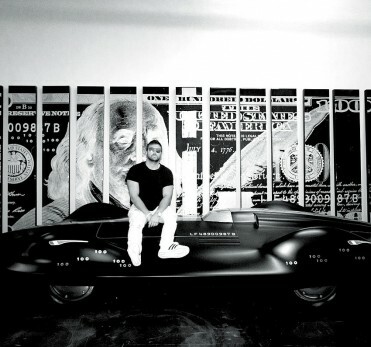 1987). 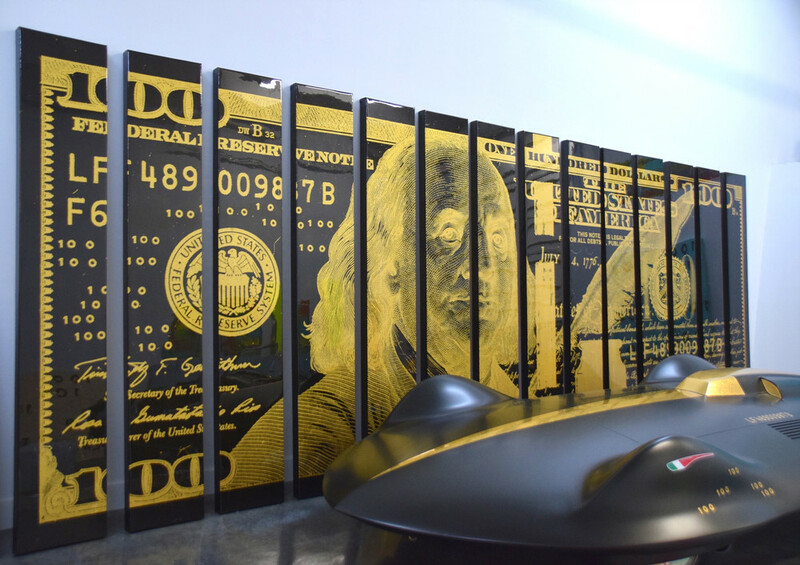 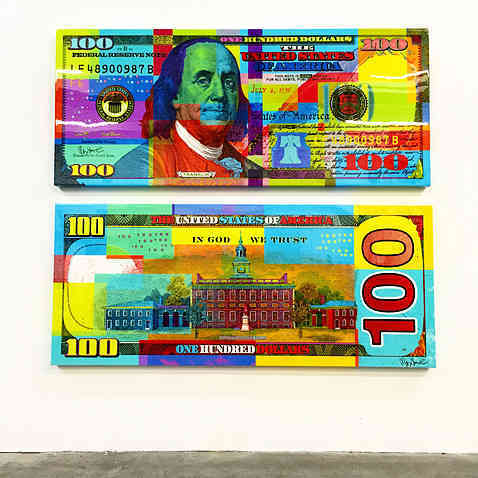 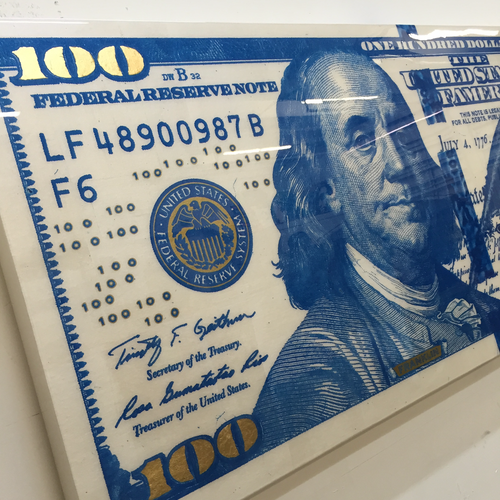 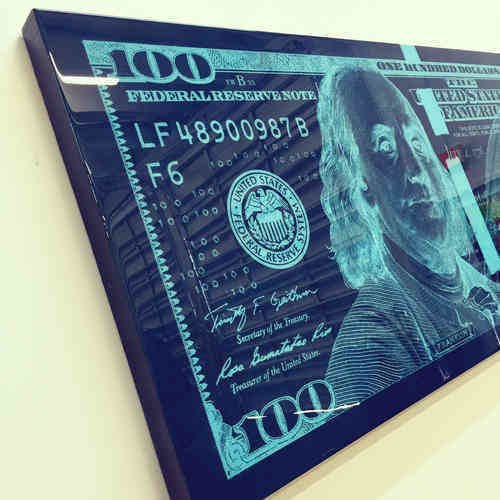 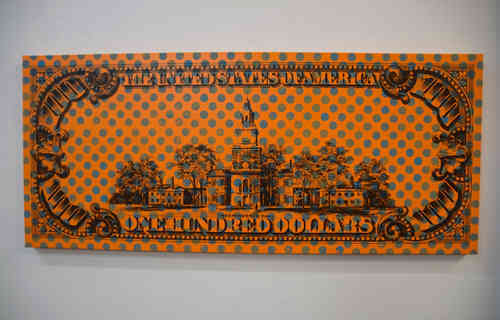 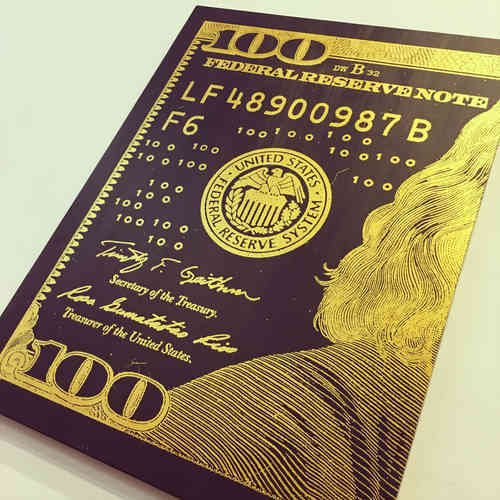 is the Miami based artist known for his colossal & colorful interpretation of US currency. 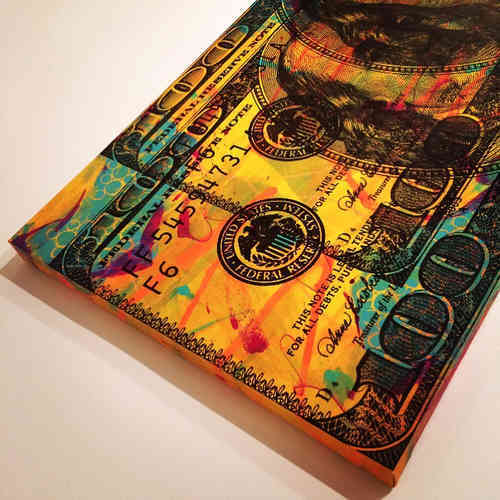 After a few years in "The Real World", he had witnessed the powerful effect that money had on every individual, and the way it seemed to control society as a whole. 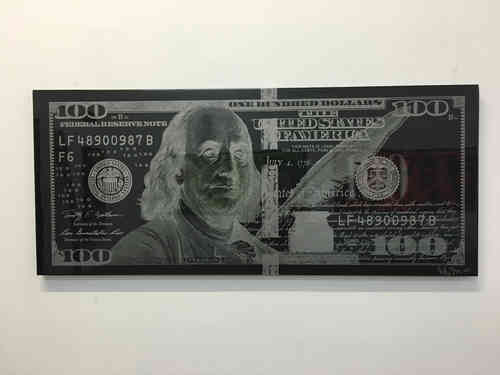 Money had intrigued him so much. 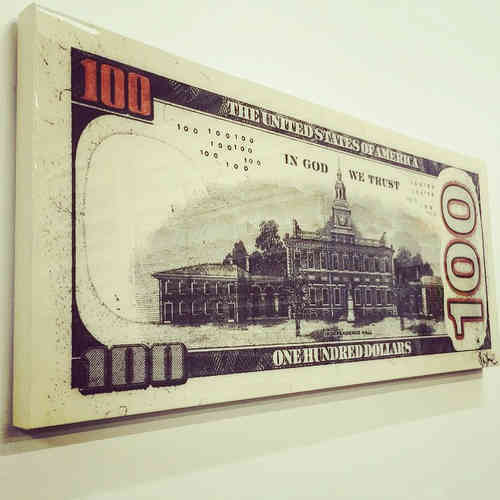 So he decided to create his own currency, and build the value on his own, so that no one could take it away from him. 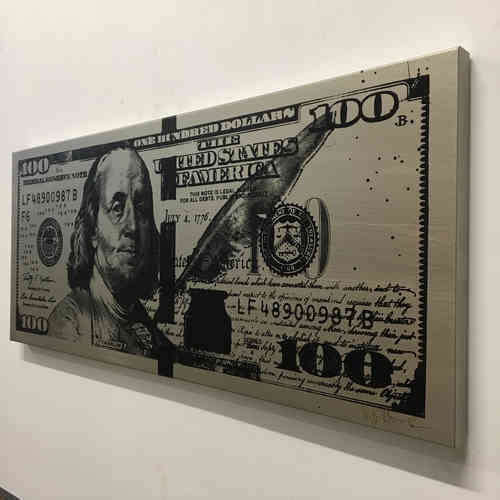 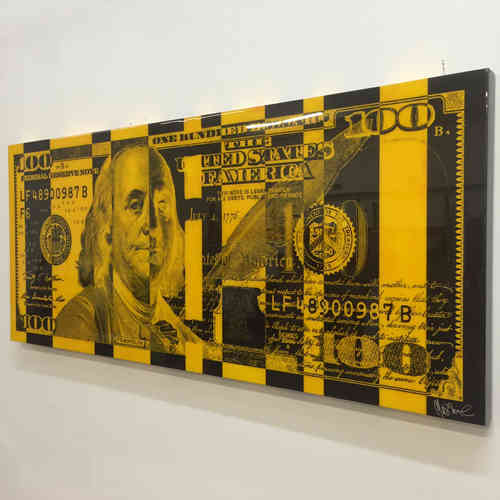 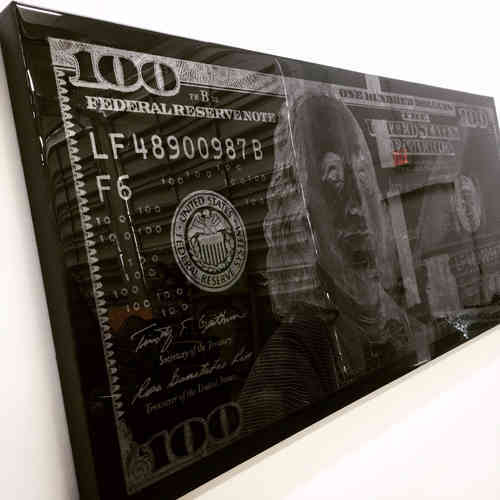 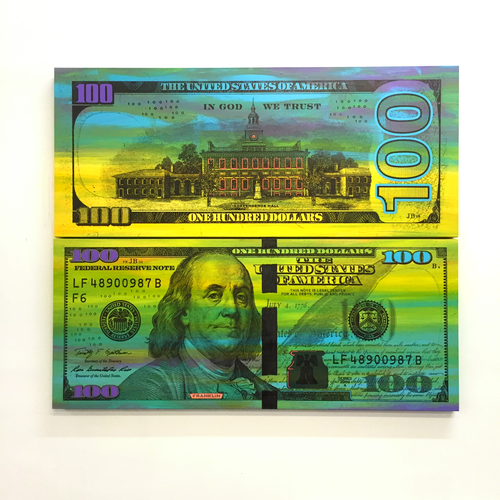 Through his diverse body of work, Mister E provokes viewers to think about money in a totally different way than ever before. 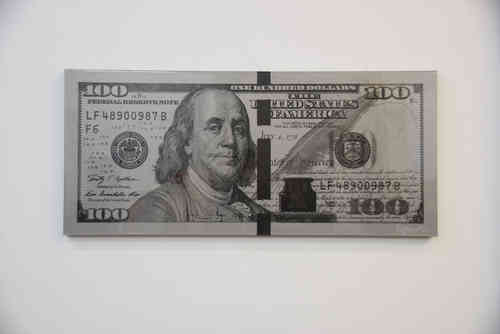 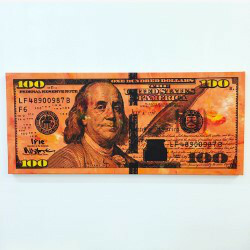 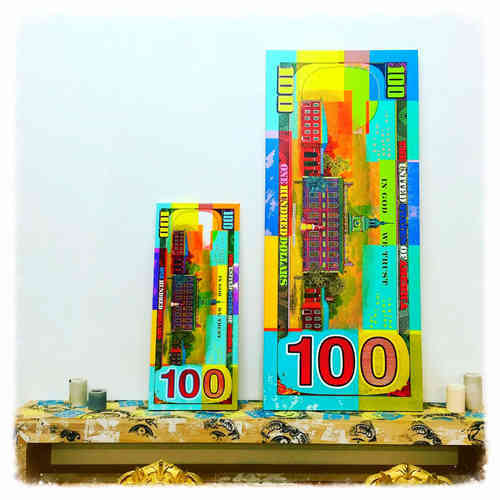 His colorful painting of the 2009 series $100 Bill titled "Benny Jr.", has quickly become recognized internationally. 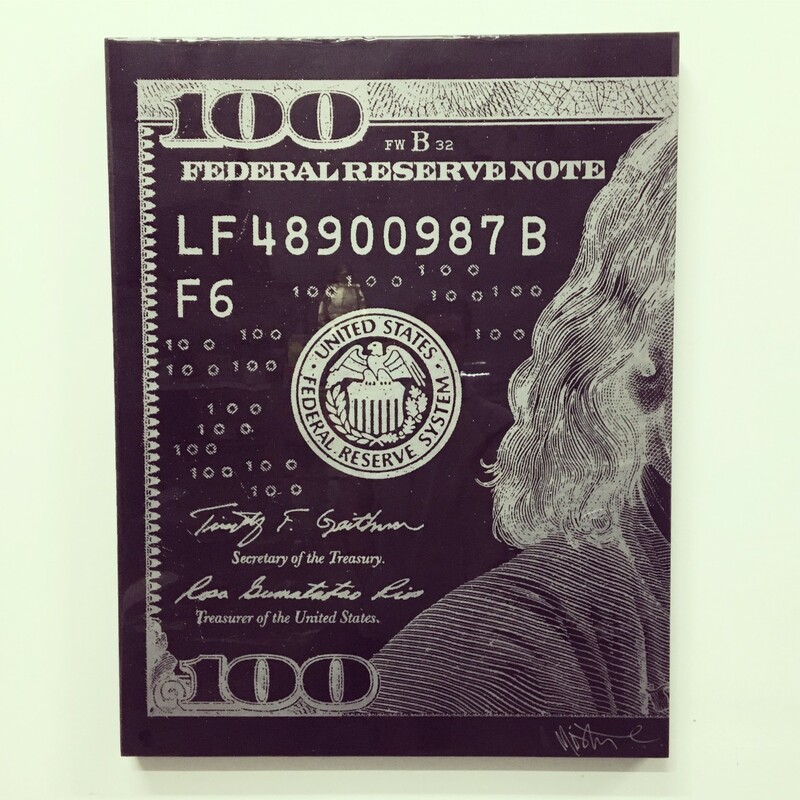 As his work has evolved, he has changed the way in which people view money. 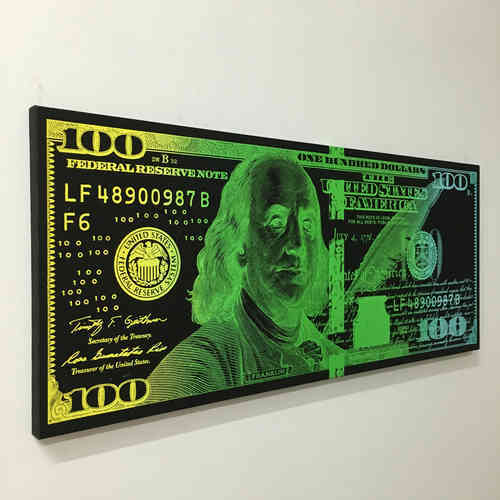 His goal is to take away the evil connotation that most associate with money, and instead use it as a symbol for motivation, inspiration, and freedom. 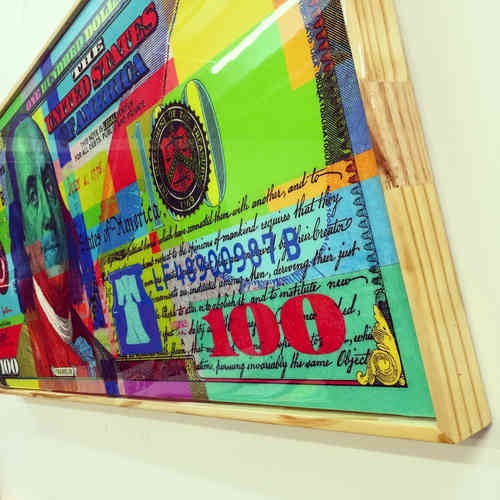 Created for the Irie Foundation, a non profit based out of Miami, FL.